Walk from Victoria Coach Station to Victoria Train Station. Take the train to Bromley South. From there take the 119 bus towards The Colonnades Croydon Airport and get off on Addington Road just before Layhams Road. Walk to the roundabout and turn left into Layhams Road. 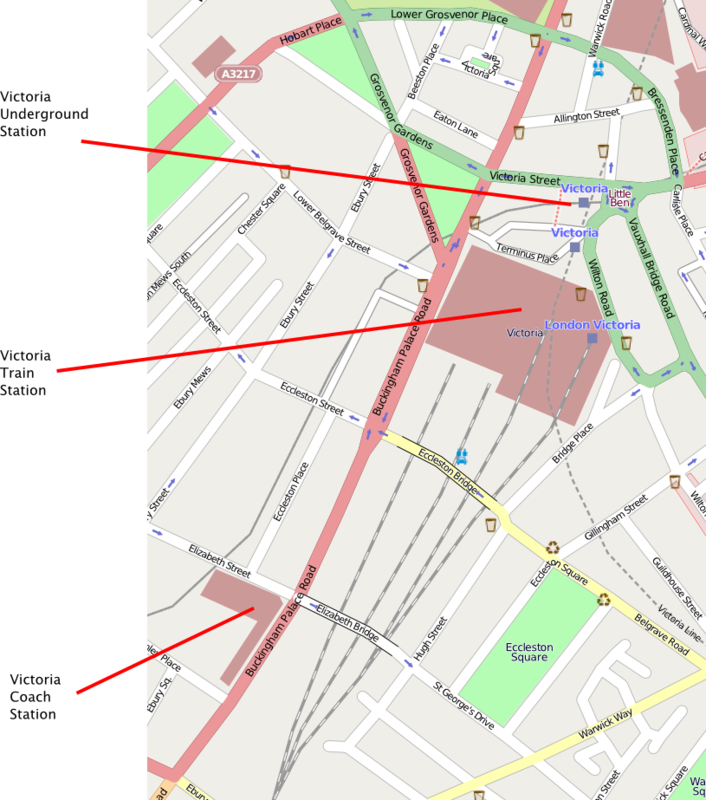 The venue is on the right hand side after about 5–10 minutes' walk. 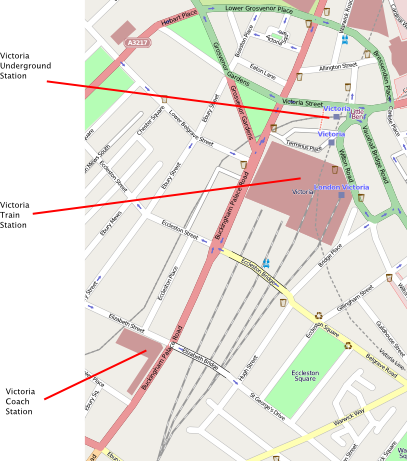 For a map of the area around the venue, please see the map showing directions from Hayes (Kent).